Some words will not translate correctly. By using this feature, you accept this risk and agree to release Berkshire Hathaway HomeServices and its franchisees from any claims or damages resulting from incorrect translation. 1 Parking Spaces. Assigned Parking Space. Create an account to view market trends and price history for this property. 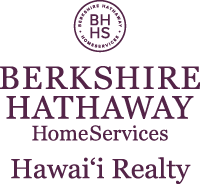 I am interested in 2893 Kalakaua Avenue UNIT 3, Honolulu, HI 96815. Courtesy: Coldwell Banker Pacific Prop. Courtesy: Gold Coast Real Estate Inc.
Sign up for Inside AccessTM to view recent sales near 2893 Kalakaua Avenue UNIT 3. Berkshire Hathaway HomeServices does not endorse any of the products or vendors, referenced on this material. Any mention of vendors, products, or services is for informational purposes only.